I love the new album from Morr Music "son" Ben Cooper - Also known from the fantastic Electric President!!! 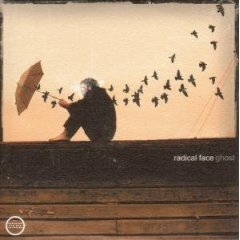 Radical Face is his name in this new project that is entitled "Ghost". Now - I'm not setting off to do a review of the album - I just want to let those know who don't already know about him. Read this review and download the song Welcome Home, Son! It could be one of the most captivating songs I've heard. Hand clapping used in a not too common order to give drive to, to stress and to push forward the motion in the song. Where as in Electric President - These handclaps would be exchanged for some, more obviously digital, sounds (maybe the handclaps are digital but organic they are still) - GREAT! Symphonic and big chorus with that nostalgic, sentimental tone and scent that makes you all goose bumpy and teary eyed!!! !!! !!! Or just head off to the Hype Machine, type Radical Face and click to whatever track - they are all GREAT! Oh and don't forget - BUY THIS ALBUM!!! "Stephen McCauley for President" is a great song by my all-time favorite band - The Bar/None released and Belfast based Oppenheimer! Stephen McCauley is the host of BBC Radio Foyle Northern Ireland's amazing show - Electric Mainline. I have mentioned both him and the radio show before - When he played "At Least Like Melissa" from "wolflike they are" - And now I'll do it again. The reason this time is that he has taken a liking to my new demo - "Miss Takes - Light The Night!". This past Tuesday - May 1 - He played the last song on the demo - "Leave A Blank Sheet". 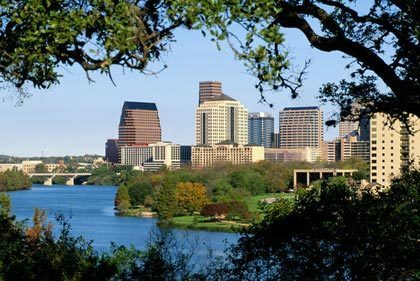 Now because Stephen is a great guy with an exquisite taste in music ;o) he will play more of my music on the show. If you want to hear the May 1 show click here (only good before the evening of May 8) - But I also think you should listen to his show more often and find new great, music - He also plays a lot of the great stuff that's brewing out of Northern Ireland these days. When it comes to "Stephen McCauley for President" - I would definitely put my vote on him!! !